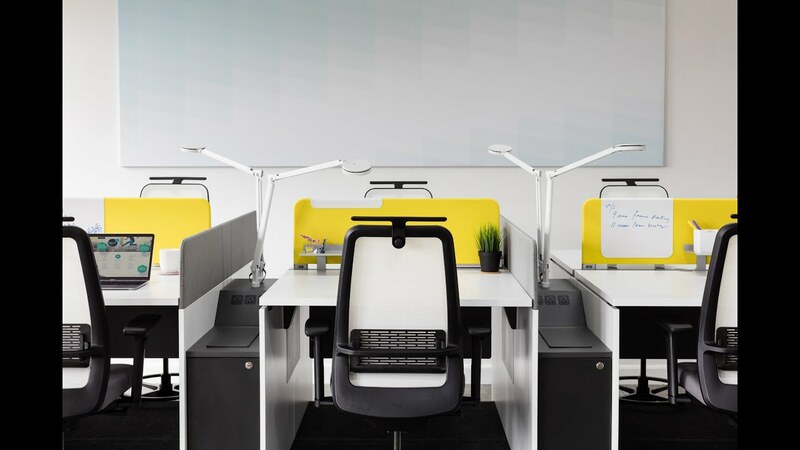 Navi TeamIsland integrates thoughtful design details that can enhance the wellbeing and performance of individuals and teams. 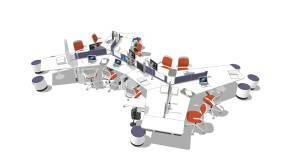 And its efficient, flexible design enables organizations to change and grow—even in the most challenging real estate. People are the greatest asset employers have. Supporting employee wellbeing enhances their engagement and effectiveness at work; the places where we work impact how we feel. 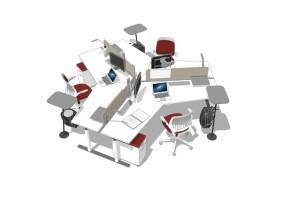 Navi TeamIsland has been designed to nurture the wellbeing of people at work, even in the most demanding environments. 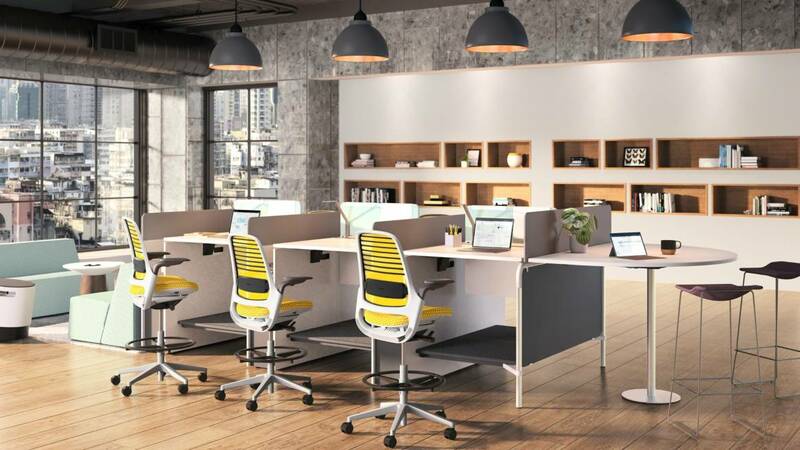 HighSit bench enables workers to vary their postures throughout the day with simple transitions between being seated and standing. 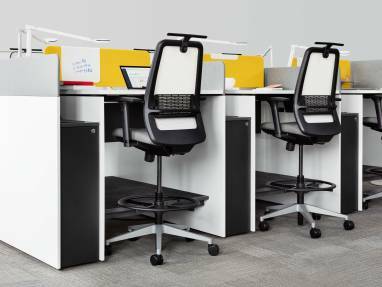 The elevated position of HighSit allows for more natural eye-to-eye interactions. 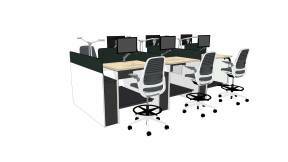 Navi TeamIsland is available in standing and traditional desk heights, with a range of planning and leg options. 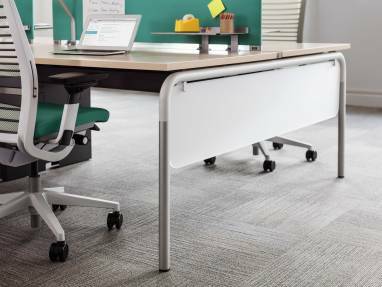 The raised, carpeted foot platform provides additional ergonomic support and comfort, allowing for the same feel as being in a seated desk-height position. 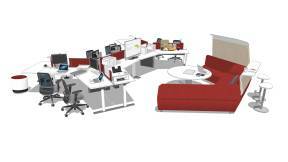 Navi TeamIsland offers easy access to technology support with integrated solutions. 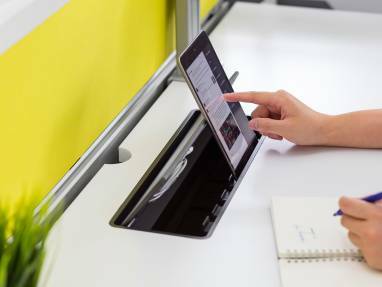 The door’s friction hinge can be used to dock mobile technology for hands-free video, while small items can be stored neatly on the back of the door. 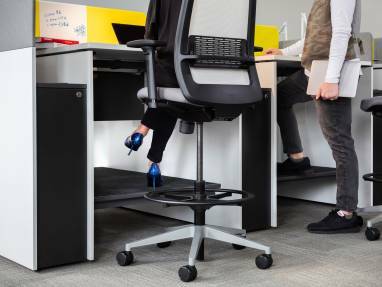 The storage leg gives workers the ability to store and secure their personal items, creating a sense of permanence and privacy. 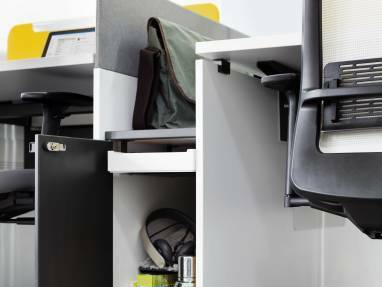 The top of the storage leg doubles as a ‘bag drop,’ giving workers easy and convenient access to their bag. 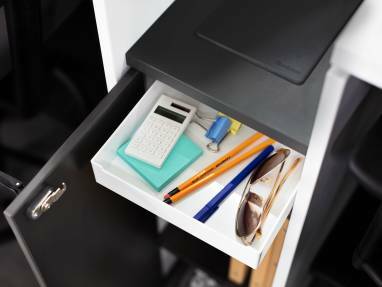 Every Navi TeamIsland with storage leg includes a personal drawer that keeps personal items within easy reach. 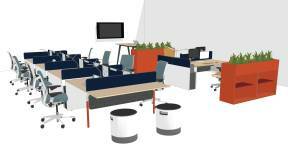 Collaborative tops at the end of Navi TeamIsland create efficient, close-proximity collaboration spaces for teams, managers and project leaders. 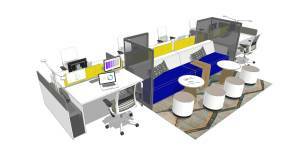 Integrated technology support provides quick and efficient digital content sharing. 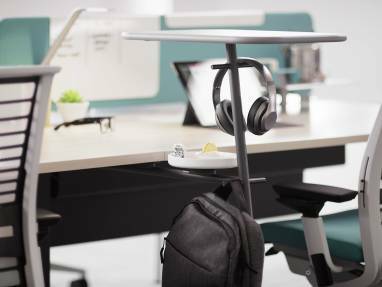 Navi TeamIsland’s unique podium supports two-person, impromptu collaboration by creating a convenient perch for quick conversations or a touchdown space during shift changes. It also creates a lightweight boundary and provides storage for bags and personal items in dense environments. 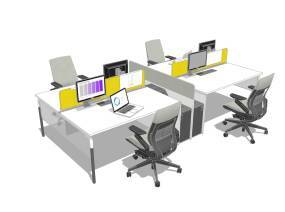 End of run extensions allow leaders and managers to be embedded within the team bench for easy access and quick decision making. Leading organizations understand that the wealth of their organization depends on the health of their people. 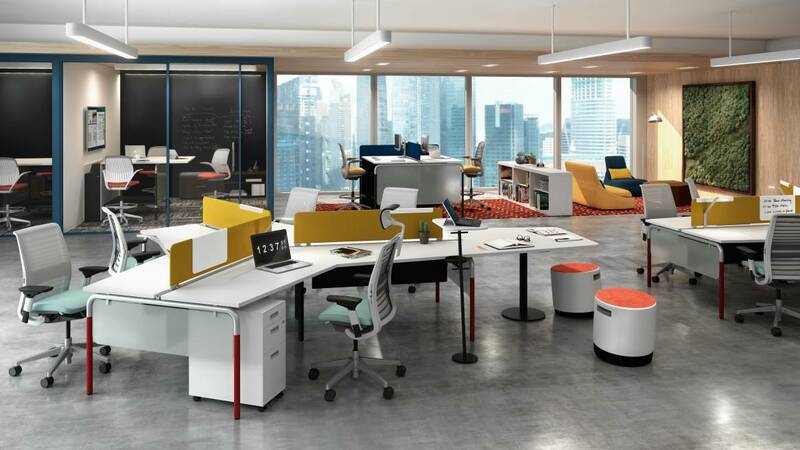 Navi TeamIsland enhances worker wellbeing by humanizing density through personal touches that improve their experience at work. It allows organizations to flex and evolve as their business grows. Navi’s footprint is designed to maximize worker density and quickly flex to accommodate growth, using a “base and extension” design approach. 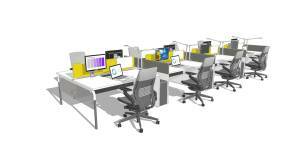 Navi’s Trapezoid 120 configuration supports worker wellbeing by providing an organic, fluid placement of people. Low barriers enable direct person-to-person communication. 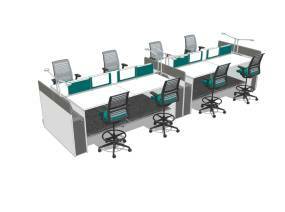 Trapezoid configuration enhances emotional wellbeing by providing a visual break in the arrangement of team members. 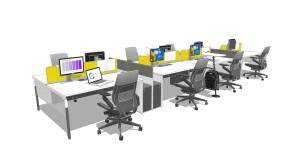 Navi TeamIsland Desk Height with Gesture chair. 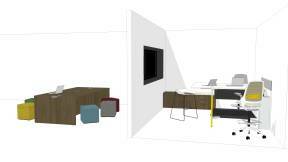 Navi TeamIsland Desk Height bench with Storage Leg, and Gesture chair. 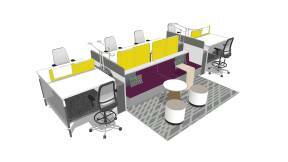 Navi TeamIsland Desk Height with Think chairs and an integrated turnstone Campfire social zone. 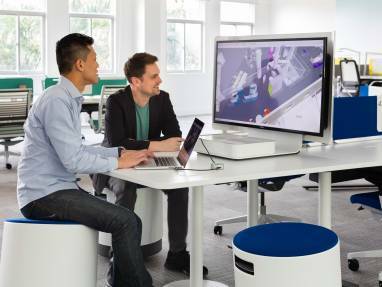 Navi Trapezoid 120 degree collaboration table with cobi, turnstone Buoy and media:scape. 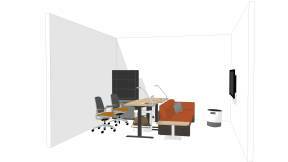 Navi TeamIsland Desk Height with Think chair, turnstone Buoy and media:scape. 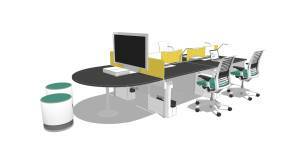 Navi TeamIsland Desk Height with Personality stool, turnstone Buoy and turnstone campfire. 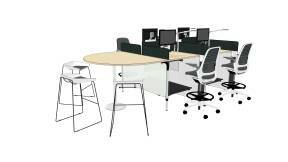 Navi TeamIsland Trapezoid 120 degree collaboration table with Personality chair and media:scape Lounge.